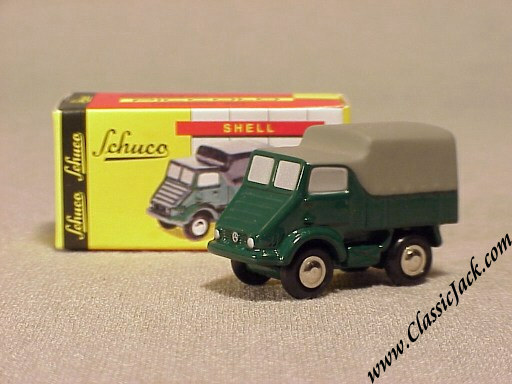 Schuco Piccolo Mercedes-Benz Unimog 401. Introduced in September 2001, this was a completely new development. 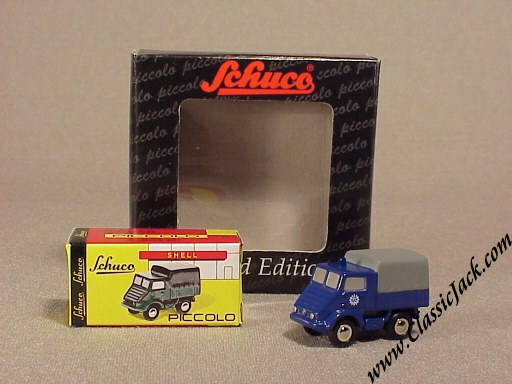 Schuco Piccolo Mercedes-Benz Unimog 401 THW. 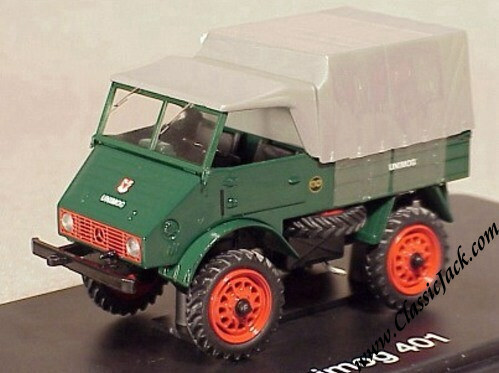 Introduced in March 2002, this was the first elaboration of the 401 Unimog. 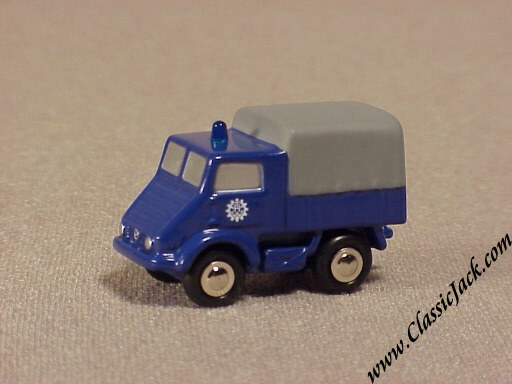 It comes in the livery of "THW", which stands for "Technisches Hilfswerk" and is complete with a blue light on the roof. This is a limited edition of 3,000 pcs. Length approx. 3.2 inches / 8 cm.